By this time, Ruth knew he had little left as a player. His heart was set on managing the Yankees, and he made no secret of his desire to replace McCarthy. However, Ruppert wouldn't consider dumping McCarthy. The slugger and manager had never gotten along, and Ruth's managerial ambitions further chilled their relations. Just before the 1934 season, Ruppert offered to make Ruth manager of the Yankees' top minor-league team, the Newark Bears. However, Ruth's wife, Claire Merritt Hodgson and business manager advised him to reject the offer. After the 1934 season, the only teams that seriously considered hiring Ruth were the Philadelphia Athletics and Detroit Tigers. A's owner/manager Connie Mack gave some thought to stepping down as manager in favor of Ruth, but later dropped the idea, saying that Ruth's wife would be running the team in a month if Ruth ever took over. Ruth was in serious negotiations with Tigers owner Frank Navin, but missed a scheduled interview in late 1934. Meanwhile, Ruppert negotiated with other major-league clubs, seeking one that would take Ruth either as a manager or player. 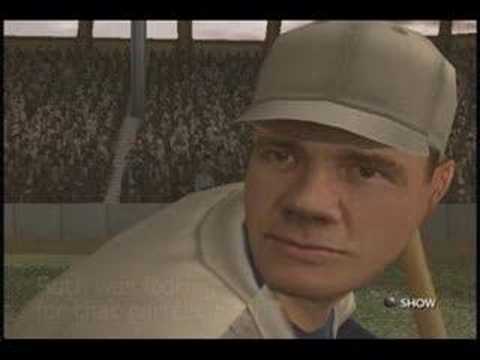 In attempt to draw more fans, the Braves sign an aging Babe Ruth. However at the age of 40, The Babe's best years are behind him. Ruth would homer in his first National League at bat, but there would not be much success that followed. The Bambino hit only .187 and had only four dingers heading into June before The Babe had one last hurrah. In a game at Pittsburgh's Forbes Field the Babe blasted 3 homers in a game against the Pirates. A few days later Babe Ruth would retire with an All-time record 714 career Homers, a record that would last 40 years. 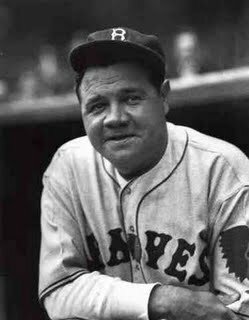 While Babe Ruth was struggling to come up with the form that made him a legend, the Braves were just hoping to win a game. The Braves would suffer their worst season in franchise history with a record of 38-115. 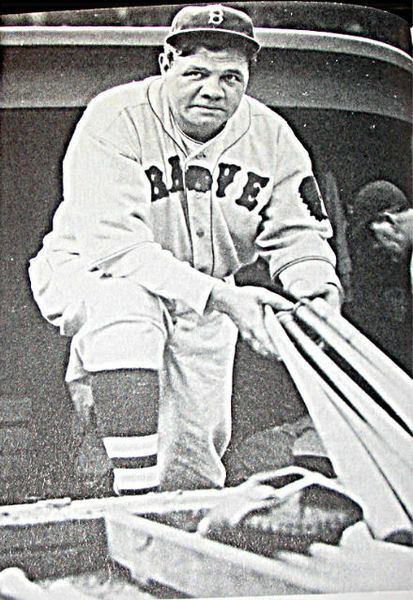 He played out his string with the Boston Braves in 1935; even a washed-up Babe was still able to pole three circuit clouts in one game before calling it quits after 28 games and six dingers in that last season. The following year, he was one the inaugural inductees into the Baseball Hall of Fame. Yes, the Babe was mighty, and he did prevail (more often than naught) except over one opponent: Father Time.